Improvisation at the piano has always been a staple of my performing portfolio. I have provided improvised accompaniment for silent films and have on two occasions been invited to do so at the Kleinwalsertal Filmgewitter film festival in Vorarlberg, Austria. I’ve guested at the piano for Impropera, and have performed on numerous occasions for Improbable Theatre on shows such as Lifetime, Animo, The Still, and – most recently – Lost Without Words, presented in March 2017 as a co-production with the National Theatre at the NT’s Dorfman auditorium. 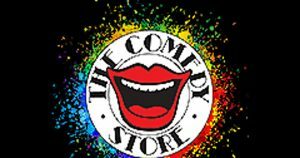 I regularly guest with the fabulous Comedy Store Players who have been improvising together at the Comedy Store, Piccadilly Circus, twice weekly since 1985. As a skilled sight-reader and a sensitive accompanist I have much experience as rehearsal/audition pianist. I’ve recently finished a stint as audition pianist for the national tour of Doctor Dolittle (casting director James Orange). I am always keen to keep my hand in with this kind of work so please contact me for availability if your production needs an accompanist for auditions or rehearsals — or if you yourself need to prepare for an audition.